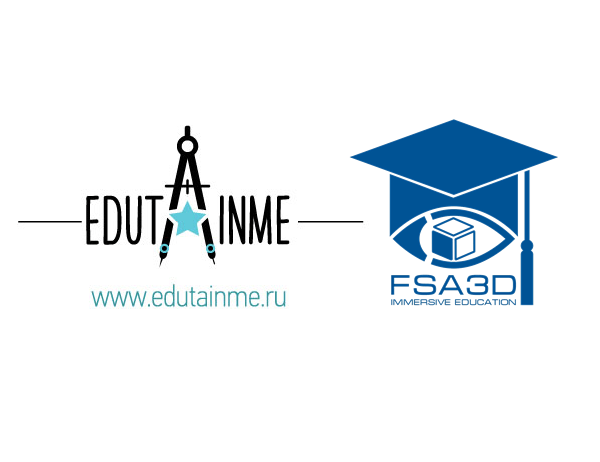 FSA3D in EdIndex | www.edutainme.ru/.../fsa3d ! EdIndex is one of the main russian sources for a new initiatives, innovative forms in education area. EdIndex was created and developed a Edutainme team. Edutainme.ru is platform of the future of education and technologies (support from Russian Venture Company) and employs more than a hundred names, sites, services and applications. Earlier FSA3D was included in the "VR Companies Listed" by VR Meister (previously - VR companies.com) | http://www.vrmeister.com/fsa | in the field of education working with virtual reality technology (VR). This allows FSA3D to be "visible" participant of the world's VR-industry.